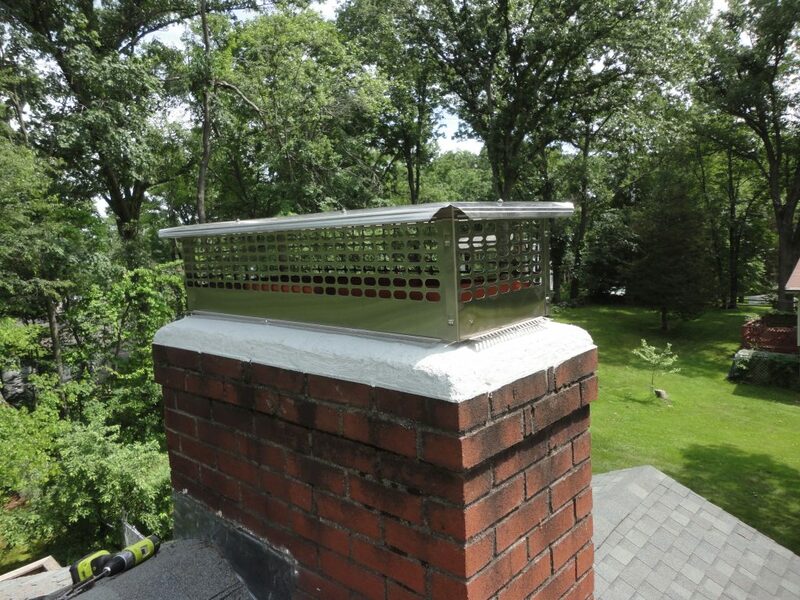 Minor chimney crown repair in Mystic, Ct. Customer called to get a second opinion on masonry repair as they were given an estimate to rebuild the top of the chimney. Often, that is the solution to broken masonry, but in this case, you can see the chimney is solid, the crown thick and actually reinforced, and the rest of the chimney mortar intact with very minor erosion. The top tiles are also in good condition. There are cracks in the crown, and it is lifting, but ultimately a solid structure. 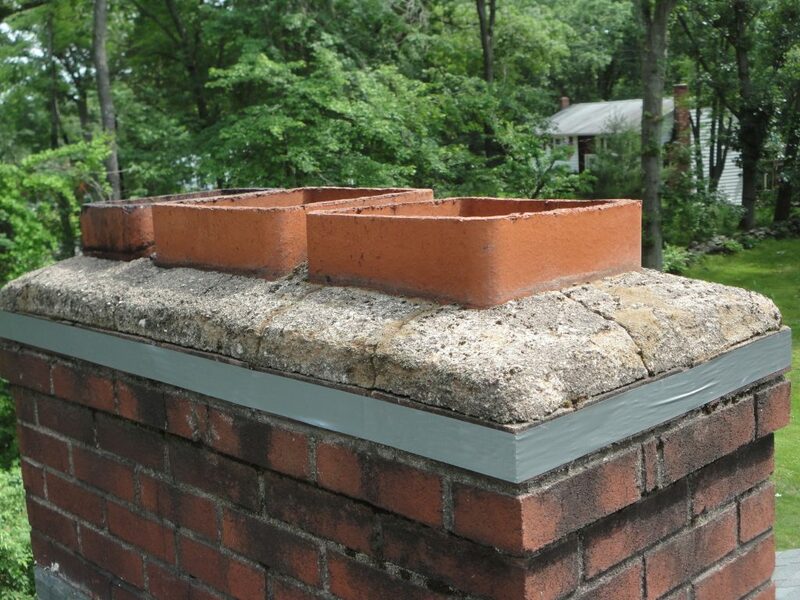 But it is not water tight and water will get into those cracks and during freeze/thaw cycles expand/contract and further break the masonry in areas you can see, and areas inside the chimney that you can’t.